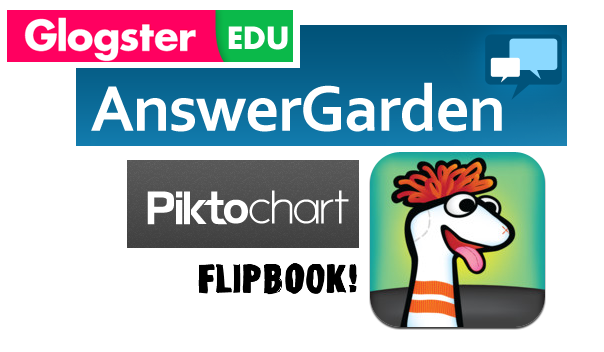 ← Paperless Parent-Teacher Interviews, trialling Evernote and Kustomnote. ‘Storybird” is a hit in my class. A strong emphasis on visual literacy as the students choose artwork that they like and make up a story based on the pictures, creating a digital picture book. They have to order them, have had some great simple stories come out of this. Teachers can create class lists, so students get their own password but don’t need email. I love this web2.0 tool. Teachers can set class assignments, and it is private to the class. Also students can enter compositions within the site and comment on other peoples books. Teachers can also comment 🙂 I have used students books on the IWB and we have talked about editing and improving the story as a whole class before the student publishes it. It is publishing for the world. The only negative is you cannot download students work for free. A PDF costs $2, however if a student creates a fantastic book you can buy it in hardcover or softcover. Glogster is cool as well, however the EDU part has a charge, but I have used this in the classroom and set up an account under my name. Wallwisher kinda like the description for Answergarden but requires twitter length sticky notes. Mainly used for collaboration. Thanks for sharing, Courtney. I’ll check it out. Keep up the good work developing your Twitter PLN! I use Kerpoof to explore narrative and creative publishing in my classroom. It allows the opportunity for the children to create their own stories and promotes visual literacy. You can also make movies or comic strips using ideas presented during your Writing Block. The children have even started to use this program at home and have printed their work to share in the classroom. Another great tool is Domino Animate. It is designed for years 3-6 but my 1/2’s used it with their buddies. Lots of creative animations and amazing story telling. It really brought the children’s writing ideas to life. Thanks for your comments and for sharing those resources, Laura. I’m really looking forward to checking them out! I think visual literacy has so many wonderful advantages, namely drawing kids into the real writing that usually comes afterwards – a skill that we must continue to practice and provide purposeful feedback on. Great to see you getting so active on Twitter and Pinterest too, I’m looking forward to sharing more ideas with you in the future! I am learning lots and enjoying connecting with other people who also have so many wonderful ideas to share. Agree with you about using these resources to stimulate the writing process and provide engagement particularly in the area of Boys Education. Boys Education and engaging boys in Writing is a big focus for us at our school this year with Lynn Watts suggesting that if we engage boys then the girls will be engaged too. We used these resources along with implementing some of her lesson ideas to create a more meaningful writing experience for everyone in The Junior Level. 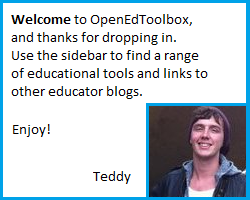 Look forward to reading your next blog Teddy!